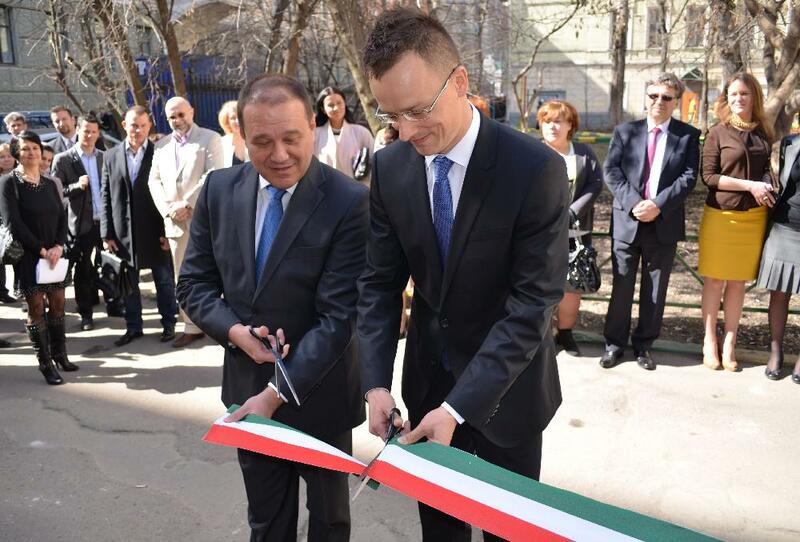 Quaestor President-CEO Csaba Tarsoly (left) and External Economy and Foreign Affairs Minister Péter Szijjártó officially open the Moscow Hungarian Trade House in April 2013 (photo: MTI). On March 9, 2015, the External Economy and Foreign Affairs Ministry-operated Hungarian National Trade House (Magyar Nemzeti Kereskedőház) withdrew 3.8 billion forints in government bonds from Quaestor Securities just hours before the securities unit of the Budapest-based brokerage announced that it had initiated bankruptcy procedures against itself (sources A and B in Hungarian). 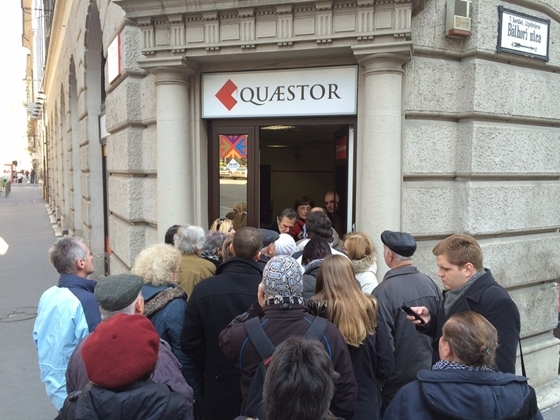 The Quaestor unit attributed its bankruptcy to an unmanageable spike in demand from its clients to redeem securities from the company following the Hungarian National Bank’s partial suspension of the operational licenses of the Buda-Cash Brokerage on February 24 and of Hungária Securities on March 6 on suspicion of fraud (sources A, B and C in Hungarian). However, on March 10 the Hungarian National Bank announced that it had partially suspended the operational license of Quaestor Securities on suspicion of securities fraud as well (source in Hungarian). On March 24, officials from the External Economy and Foreign Affairs Ministry stated that the decision to remove the Hungarian National Trade House’s government bonds from Quaestor Securities occurred on March 5, four days before the brokerage’s securities unit announced its bankruptcy, but that “the transit time and settlement of such a process can require a few days.” Ministry officials asserted that “the directors of HNTH [Hungarian National Trade House] observed money-market processes and saw that Buda-Cash and Hungária Securities went under, therefore they decided not to keep their money in brokerage companies in the future and correspondingly removed the capital from Quaestor” (source in Hungarian). No, I ordered it. When Buda-Cash went under and the money of many people, companies and institutions got stuck in it, at a cabinet meeting I asked all ministries to look if they have money at any brokerage company. And if so, then immediately remove the public money, because they will end up like the 67 local councils whose money got stuck. Prime Minister Viktor Orbán announces that he ordered ministries to remove money from brokerages (photo: MTI). On March 26, Prime Ministry director János Lázár said that Orbán had issued the above order at a cabinet meeting at the beginning of the month based on a report on the stability of brokerages in Hungary that the prime minister had instructed the National Economy Ministry to prepare for the government following the partial suspension of Buda-Cash Brokerage’s operating license. Lázár said that “simple life instinct” had prompted Prime Minister Orbán to direct ministries to withdraw their money from brokerages (sources A and B in Hungarian). Speaking alongside Lázár, Prime Ministry State Secretary in Charge of Government Communications András Giró-Szász said that “We were working only from public data. Quaestor security-holders also knew that Buda-Cash had gone bankrupt” (source in Hungarian). 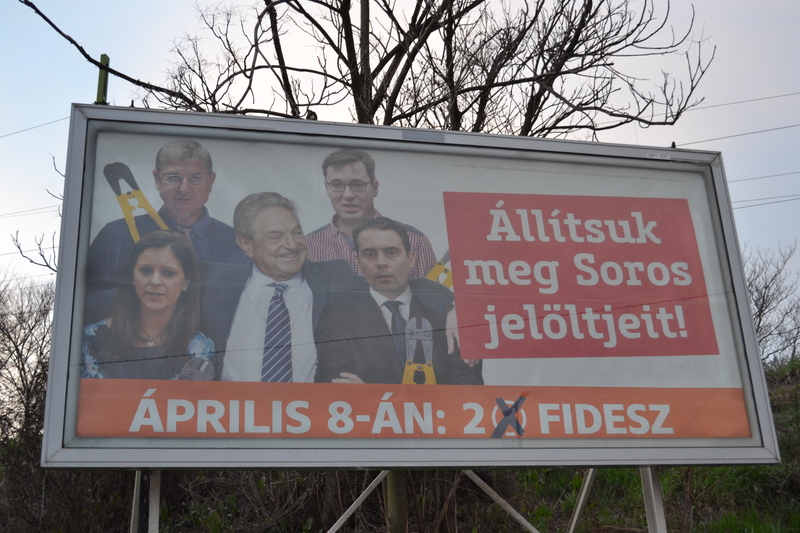 However, journalists quickly discovered that the Orbán government had held no cabinet meetings between February 25 and March 11, two days after Quaestor announced its bankruptcy, thus contradicting Lázár’s assertion that the prime minister had ordered ministries to remove take their money from brokerages in early March. On March 27, the pro-government state-run television station M1 reported that official minutes showed that Prime Minister Orbán had ordered ministries to remove their money from brokerages at a cabinet meeting on February 25 (source in Hungarian). Alarmed clients line up outside Quaestor office in Budapest after company’s securities unit announces bankruptcy (photo: hvg.hu). Therefore if Prime Minister Orbán, as he stated, asked the National Economy Ministry to prepare a report on the stability of brokerages after the partial suspension of Buda-Cash Brokerage’s operating license on February 24, the ministry had one day to compile this report before the cabinet meeting of February 25. On March 29, police arrested Quaestor Securities President-CEO Csaba Tarsoly on suspicion of securities fraud. 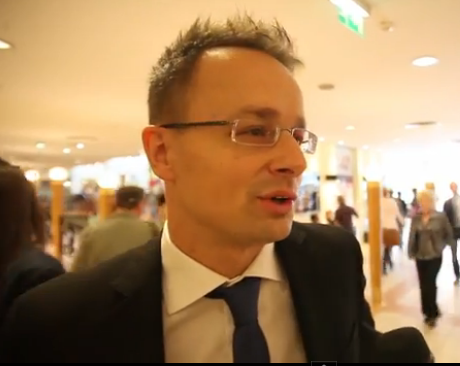 Tarsoly had developed a close working-relationship with the Orbán government during the 2010–2014 parliamentary cycle. This relationship revolved around two axes: the government’s Eastern Opening policy and football. Until the brokerage’s securities unit announced its bankruptcy, Quaestor Securities operated the Moscow Hungarian Trade House and the Istanbul Turkish-Hungarian Trade House, both of which opened in 2013. These trade houses are intended to promote business opportunities for Hungarian enterprises in Russia and Turkey, respectively, pursuant to the Eastern Opening policy. Quaestor opened the Moscow Hungarian Trade House independently and the Turkish-Hungarian Trade House jointly with the External Economy and Foreign Affairs Ministry-operated Hungarian National Trade House (source in Hungarian). Tarsoly was the director of both the Moscow and Istanbul trade houses until the Quaestor unit’s bankruptcy. Quaestor also opened a “visa center” in Moscow in November 2014 in cooperation with the External Economy and Foreign Affairs Ministry. 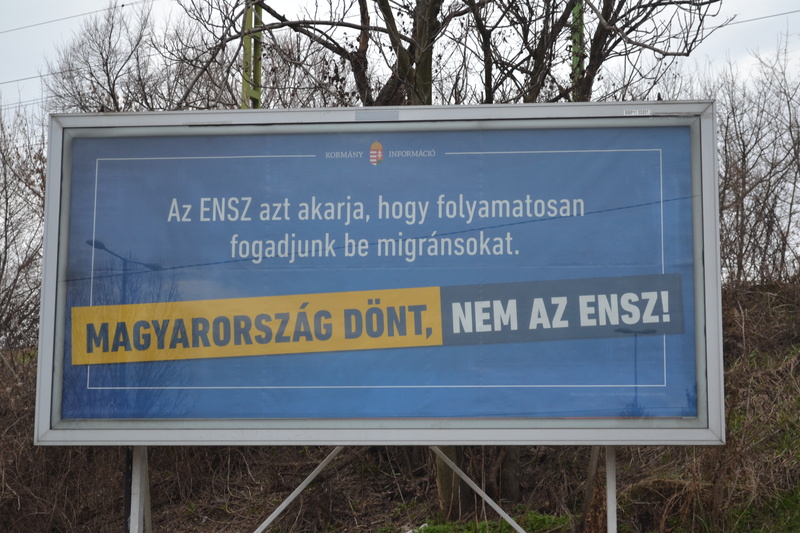 This center generates profit through the issue of visas valid for travel to Hungary—and thus to the other 25 European states that are part of the Schengen Area (source in Hungarian). Minister of External Economy and Foreign Affairs Péter Szijjártó furnished Quaestor President-CEO Tarsoly with a permanent entry-permit to the Hungarian Parliament Building in 2012 and a diplomatic passport in 2014 in order to facilitate the establishment and operation of the Moscow and Istanbul trade houses and the Moscow visa center (source in Hungarian). 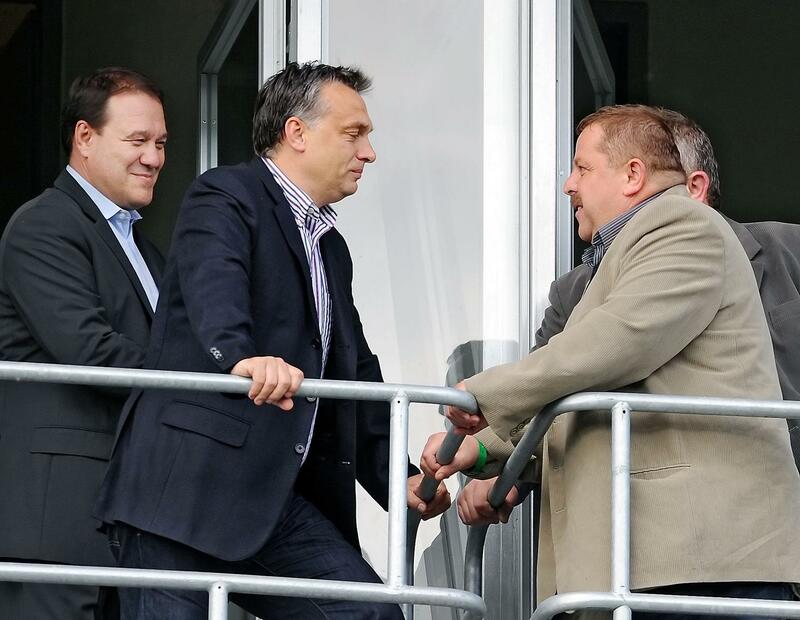 Prime Minister Viktor Orbán (center) and team owner Csaba Tarsoly (left) attend Győr ETO FC football match (photo: Népszabadság). Tarsoly also serves as president of the Hungarian football team Győri ETO FC, one of the top division-one clubs in Hungary. Prime Minister Orbán, a renowned football fan, attended Győri ETO FC matches, at least one in the company of Tarsoly (source in Hungarian). Tarsoly and Minister of External Economy and Foreign Affairs Péter Szijjártó first became acquainted in the early 2000s through their common interest in Győr football when the latter was the vice-president of the city’s sports committee (source in Hungarian). Szijjártó and his young son took part in a kickoff ceremony at a Győr ETO FC match on June 1, 2014, five months after Tarsoly hired four players from the external economy and foreign affairs minister’s Dunakeszi Kinizsi Futsal team to serve in top management and coaching positions on his Győri ETO FC club (sources A, B and C in Hungarian). 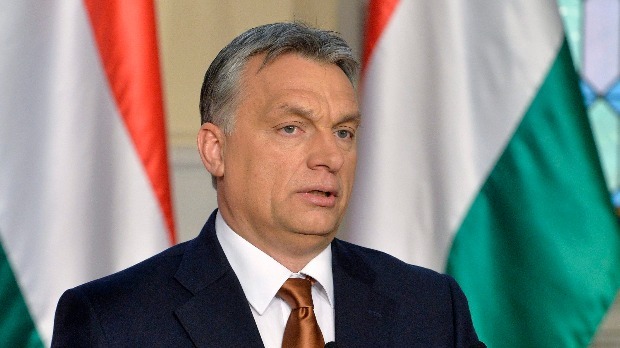 On March 9, Tarsoly wrote a letter to Orbán notifying him of the impending Quaestor bankruptcy filing and asking the prime minister to arrange to have the government provide the company with a loan in order to temporarily finance business operations (source in Hungarian). The prime minister did not comply with Tarsoly’s request for credit. The National Assembly opposition has successfully initiated the establishment of a parliamentary examination-committee to investigate the Quaestor affair (source in Hungarian). Tarsoly in police custody (photo: index.hu). The opposition party Együtt has submitted a request to have the National Economy Ministry report upon which Orbán based his order for government ministries to remove their money from brokerages released on the grounds that it constitutes information of public interest (source in Hungarian). The Orbán administration has been attempting to portray the Quaestor affair as an instance of Hungarian Socialist Party (HSP) corruption. Fidesz National Assembly caucus Chairman Antal Rogán has suggested that the party will establish a parliamentary subcommittee in order to investigate a 17-billion-forint loan that Quaestor received at the time of the HSP government of Prime Minister Ferenc Gyurcsány in order to finance construction of a new stadium for the Győri ETO FC football club and an adjacent shopping center (source in Hungarian). 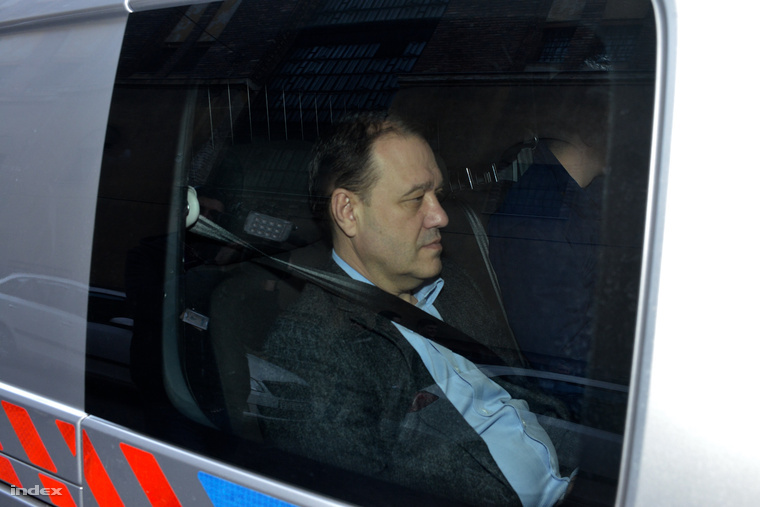 In the likely event that Quaestor President-CEO Csaba Tarsoly is brought to trial for securities fraud, he could be compelled to provide testimony that might determine if any members of the Orbán government engaged in insider trading in connection to the Hungarian National Trade House’s withdrawal of 3.8 billion forints from Quaestor shortly before the brokerage’s securities unit announced its bankruptcy. 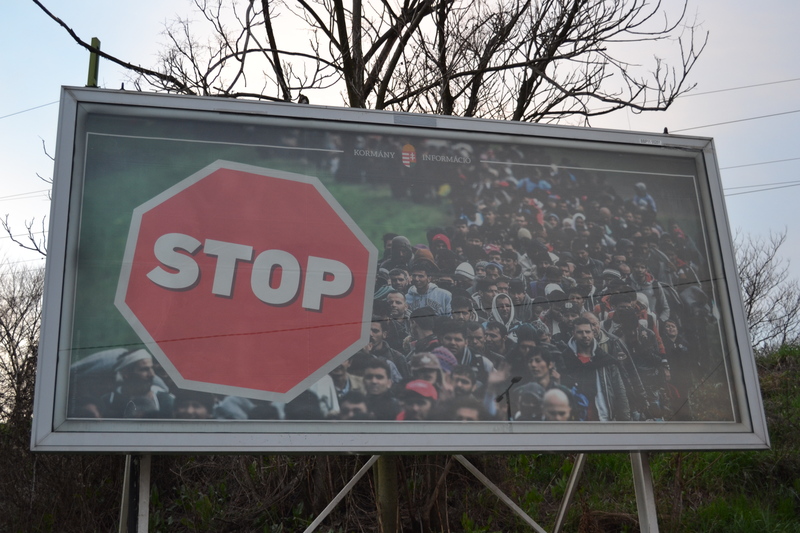 However, the wheels of justice turn slowly in Hungary—very slowly. Legal proceedings connected to the Quaestor affair could drag on for many years and might even last longer than the Orbán government itself. 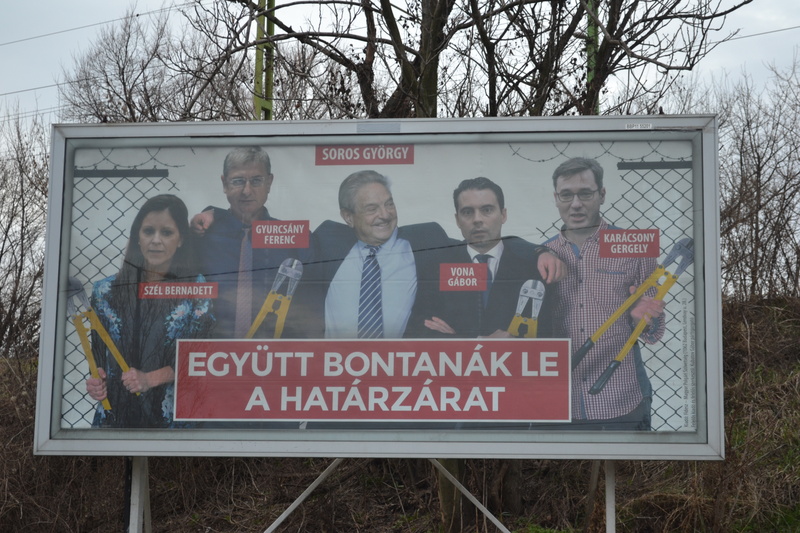 And even if Tarsoly is brought to trial, he had 19 days from the time of the Hungarian National Bank’s announcement that it would launch an investigation of Quaestor Securities until his arrest to destroy any evidence that might substantiate his company’s involvement in insider trading with the Orbán government. Chief Prosecutor Péter Polt said that officials operating under his authority had waited almost three weeks to take Tarsoly into custody for questioning because “those who are potential suspects cannot be questioned previously as witnesses” (source in Hungarian). Chief Prosecutor Polt’s wife is the director of personnel at the Hungarian National Bank (source in Hungarian). Polt’s daughter is the girlfriend of Csaba Tarsoly’s personal secretary, Zoltán Mikuska, who until January 2012 filled a high-ranking post in Viktor Orbán’s Prime Ministry (source in Hungarian). 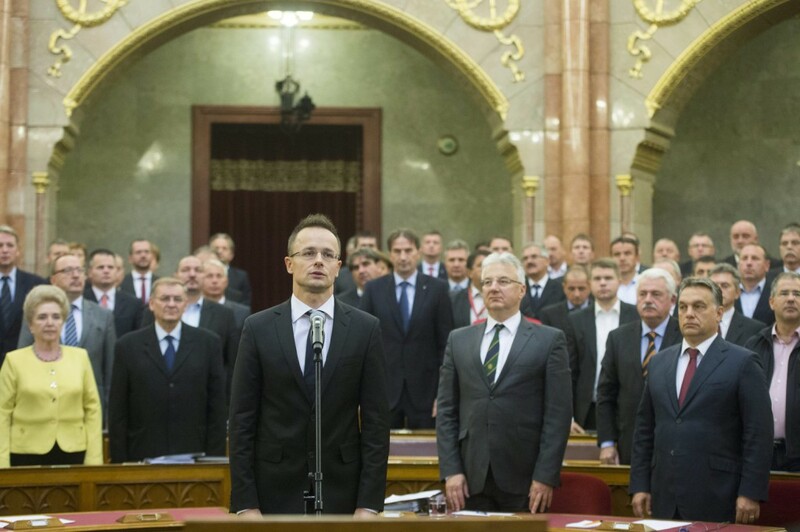 Péter Szijjártó takes his oath of office as minister of external economy and foreign affairs. On September 24, 2014, Péter Szijjártó took his oath of office as the Orbán government’s new minister of external economy and foreign affairs at the Hungarian Parliament Building in Budapest. A few hours later, the opposition television station RTL Klub (see The Big Gun Swings into Action) broadcast a report revealing that in May the newly inducted 36-year-old foreign minister had purchased a house in the Budapest suburb of Dunakeszi for 167 million forints. 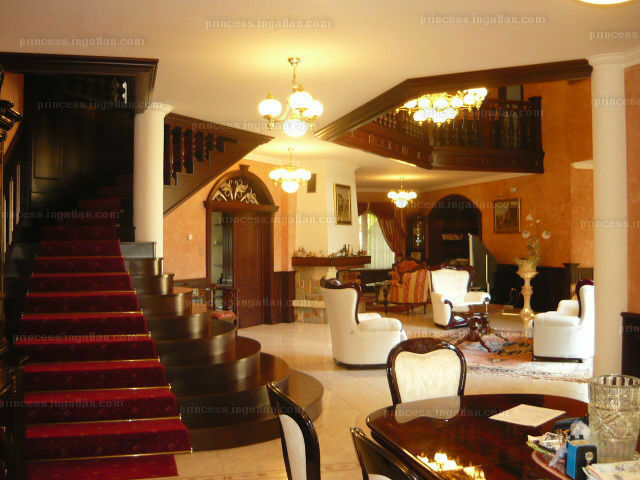 The amount of money Szijjártó paid for the house is 710 times the average gross monthly wage of 235,000 forints in Hungary. This means that average Hungarians would have to save their entire monthly pay for a period of nearly 60 years in order buy a house of the same value (source in Hungarian). Szijjártó told RTL Klub that he had paid for the house using 80 million forints in personal savings, 67 millions forints from his parents—just over half of which he would repay—as well as 20 million from his wife and his wife’s parents (source A and B in Hungarian). Ministry of External Economy and Foreign Affairs Press Director Judit Fülöp reported that the foreign minister’s new house had total floor area of 391 square meters. On September 26, RTL Klub reported that Szijjártó, who has never held employment unconnected to Fidesz, had submitted revised figures regarding the source of payment for the house, decreasing the amount he had paid by 12 million forints and increasing the amount he had received in loans from his parents by the same amount (source A and B in Hungarian). 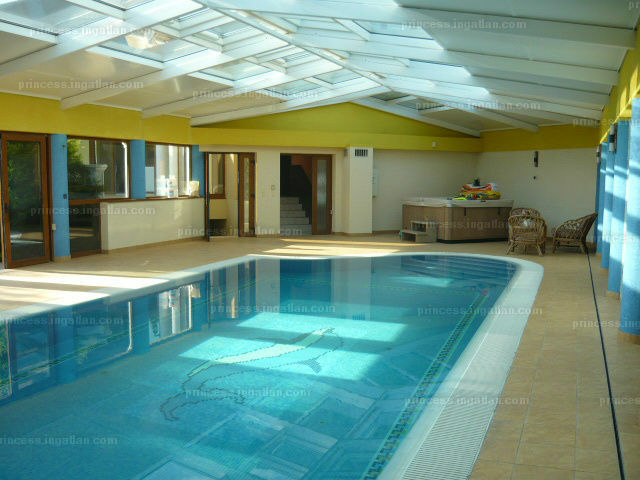 Minister Szijjártó’s indoor swimming pool. On September 29, RTL KLUB reported information from the Dunakeszi town clerk which showed that, including the five-car underground garage and indoor swimming pool, the official total floor area of Szijjártó’s house was 708 square meters rather than the previously stated 391 square meters (source in Hungarian). On September 30, Szijjártó told the opposition website 444.hu during a video interview that he was not ashamed of the luxurious new house, because his parents (1) had contributed a major portion of the money needed to purchase it (source in Hungarian, from 00:41). I am not really willing to feel ashamed of myself because my parents created the material circumstances through a lifetime of strenuous work that guarantee a secure material background for us, the children, that is, their children and their grandchildren as well. I am not willing to be ashamed of this, I am proud, I am proud of my parents, who worked for an entire lifetime so that there would be a secure material background for us, their children, and for their grandchildren and I made it clear from the start that very broad family cooperation was necessary so that we could buy this house after looking for three years and that the parents helped significantly, so I have nothing to hide or be ashamed of. People have had enough of luxury government. Fidesz believes that there is a need for a plebian government that keeps puritan principles in mind in order to make important decisions for people and that instead of limousine socialists, responsible decision-makers are needed in the parliament and in the government as well. Minister Szijjártó tells 444.hu that he feels no shame. Stage 1: opposition attacks the privileges of the ruling power as a means of gaining the popular support necessary to depose it and assume power itself. Stage 2: the new ruling power gradually acquires privileges of its own, though does not initially display them to the public, and continues to solidify its own legitimacy through attacks on the privileges of the former ruling power. Stage 3: the new ruling power no longer hides it own privileges, though attempts to justify them as the product of its own honorable and beneficial principles (in Szijjártó’s case, family values and hard work). Stage 4: the new ruling power no longer hides nor attempts to justify its own privileges, which have come to be regarded as an implicit right of those who are affiliated with it. The Orbán administration has just entered stage 3. Orange Files expects it to make the transition into stage 4 of this process after Prime Minister Orbán’s anticipated jump to the office of the presidency à la Putin in the year 2017. 1-The father of the Orbán government’s new minister of external economy and foreign affairs, István Szijjártó, was the primary owner of a profitable company based in the city of Győr (northwest Hungary, pop. 129,000) that installs railway track. In 2011, he sold his share in this company and started an engineering firm that had revenue of 240 million forints in 2012 (source in Hungarian). See real-estate website ingatlan.com photographs of Szijjártó’s house.